GReddy hard piping kits do not include any intercoolers. They are support items to either change the soft factory hoses to hard pipes or high capacity replacements that allow for rerouting. 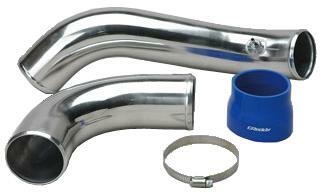 Universal kits are available for custom making intercooler compression pipes.